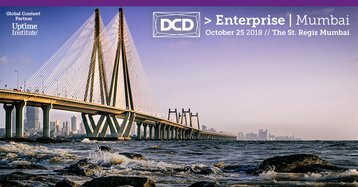 The 7th Annual DCD > Enterprise | Mumbai conference is coming to the St. Regis Mumbai on 25th October. Currently, enterprise and ‘captive’ data centers account for about 65 percent of all white space in India. According to the results of a survey conducted by DCD in the Asia Pacific in 2018, this market category will grow at a respectable rate of 5.9 percent per year, while growth for colocation and cloud is projected to be 16.7 percent and 22.6 percent respectively. 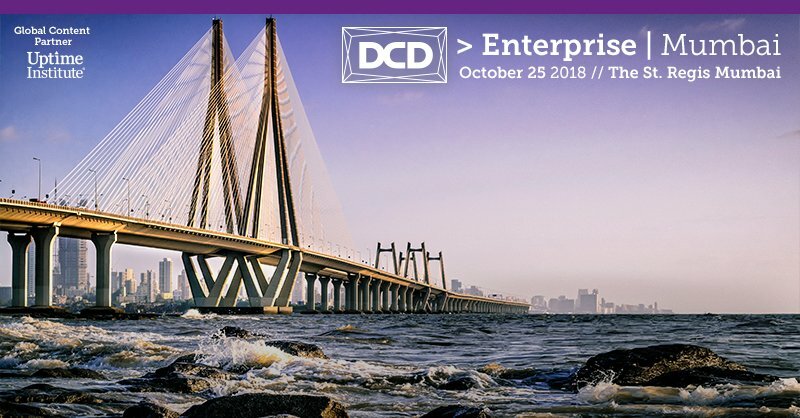 So, while enterprise shows more modest growth, it still has an important role to play and it is this role that DCD>Enterprise will focus on. Despite the various challenges of cloud adoption, one trend that is expected to gain prominence in the next few years is the shift towards hybrid IT. Saugata Basu, CTO at Aditya Birla Group, representing the textiles sector, will share his views on hybrid IT and on how his team were able to transform their technology and processes to successfully migrate to the cloud. Joining him will be experts from Alibaba and CtrlS, who will discuss key issues around enterprise data centers, colocation and cloud. The opening plenary discussion will look at how pioneering trends such as artificial intelligence, machine learning, IoT and analytics are enabling enterprises to move to self-managed IT models through improved data center analytics, and the prediction and prevention of IT infrastructure problems. This event will also cover the needs of enterprises as they upgrade their legacy infrastructure, aiming to achieve better energy efficiency. Senior experts from Schneider Electric, Delta, Vertiv, Socomec and Consul Neowatt will discuss how businesses can meet growing demand for data center services and power whilst keeping operating costs low. All companies that rely on IT are looking more closely at legislative and compliance requirements, and those in India are no exception. India recently published a Personal Data Protection Bill 2018, broadly similar to the European Union’s General Data Protection Regulation (GDPR). One of the most crucial requirements of the Srikrishna committee’s data protection bill is data localization. This proposal indicates that the Government wishes to move towards stronger enforcement of data protection lawsand a greater emphasis on data sovereignty. It has been suggested that data localization, data sovereignty, data privacy and protection will cause a further upward swing for the enterprise data center industry. This policy will mean that more data centers will have to be set up within the country, in order to restrict the data flow out of India. Cyber security continues to grow in importance, and this year, security experts from companies such as Wanbury, Bombay Stock Exchange and Tranzlease will discuss their data security strategies and share their views on data localization. Along with these thought leaders, over 20 industry experts from the BFSI, media and entertainment, healthcare, IT and ITES sectors will discuss their perspectives on key industry trends such as AI, edge computing, IoT and analytics. Introduced for the first time in 2018 are the Uptime Institute Workshop and Hosted Roundtables comprising small, focused peer groups participating in an hour-long discussion on a specific mission-critical issue shaping the future of the industry. In addition this one day forum will involve new innovative networking activities such as Speed Networking and 1-2-1 meetings.